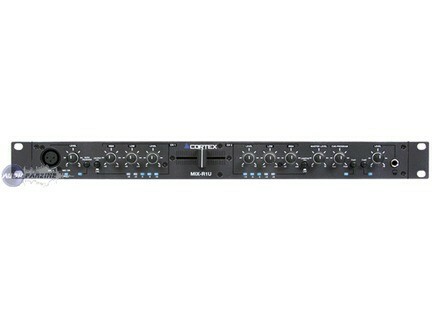 MIX-R1U, 2-Channel Mixer from Cortex-pro. Cortex unveils the MIX-R1U, the new compact, rack mountable, lightweight and mobile professional audio mixer. It features such as two stereo channels each with a 2 band EQ, adjustable gain and ultra-bright blue LED VU display meters, front mounted XLR microphone input with Auto-Talkover that protects against microphone feedback, a high performance cross fader and balanced XLR outputs for pro installs. Gemini New Line Gemini Introduces New Line of Professional CD/MP3/USB Players. Allen & Heath Xone:4D Allen and Heath have announced that the Xone:3D will be replaced by the Xone:4D. Mixvibes 7 MixVibes' Digital DJ product range has bumped up to its 7th version with a fresh paintjob and upgrades in the engine.